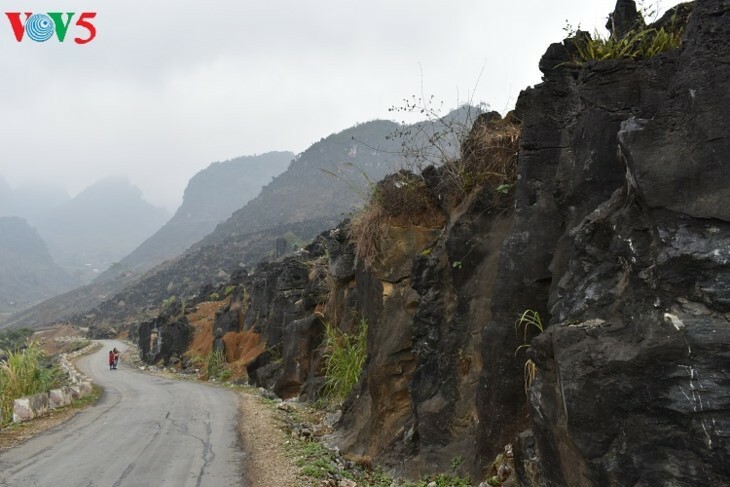 From Ha Giang province, tourists take the national highway 4C for 43 kilometers to reach Quan Ba district. Passing over the bumpy Can Ty pass and through pine forests and round zigzagging roads, tourists will arrive in Dong Van Karst Plateau. Sitting 1,600 meters above sea level and covering 2,530 square kilometers, the Plateau shows the typical signs of the development of the earth’s crust. 80% of the plateau is open-cast lime. Dong Van is home to 139 geological heritages, of which 15 are international, 68 are national and 56 are local. 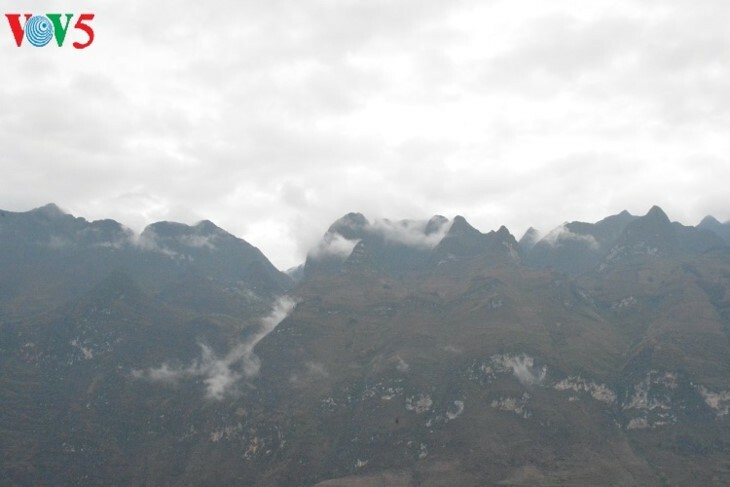 In the area’s stone sediments, bio-archeologists have found many fossils which have preserved the history of the plateau in Dong Van in particular and Vietnam’s northeastern region. Geological diversity and climate shifts over millions of years have created diverse and spectacular rock gardens and rock forests like the KhauVai rock garden in MeoVac district which have flower-shaped, bud-shaped, dragon-shaped, and tiger-shaped rocks among many others. There are several rock stacks that look like thousands of seabirds relaxing on the beach. 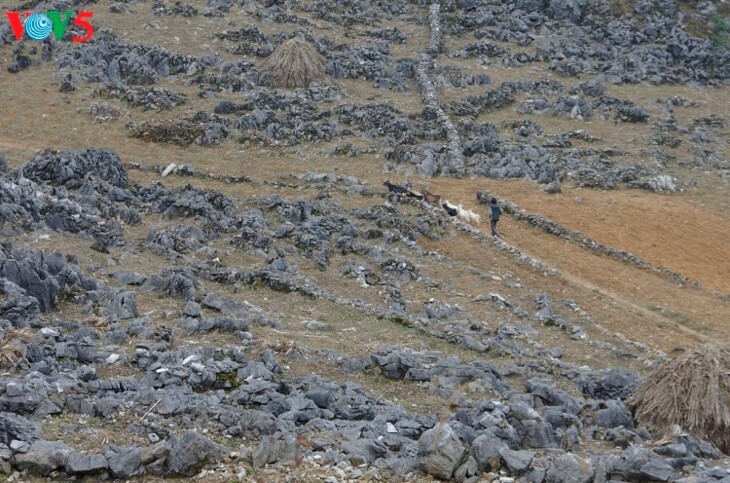 In between of the rock gardens are high mountains and steep hills that make the karst plateau more spectacular. 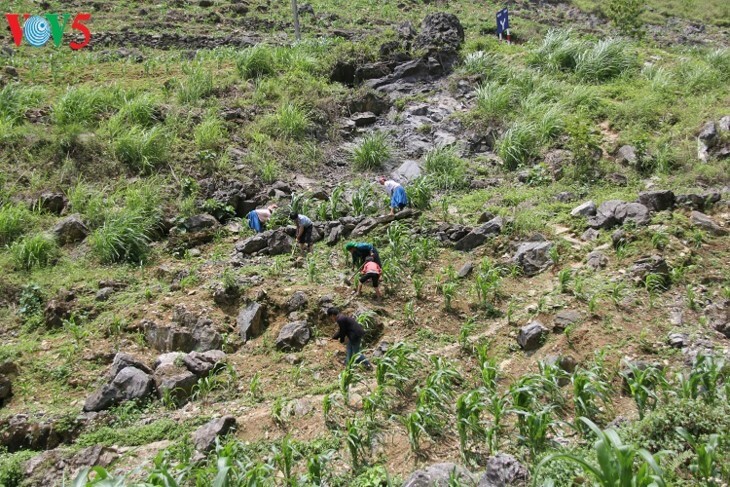 In recent years, Meo Vac district has focused on promoting the development of culture-tourism, especially since the Dong Van Karst Plateau was recognized as a Global GeoPark in 2013. The local infrastructure has been upgraded to make travelling to the district easier. Many local festivals like the Khau Vai Love Market festival, buckwheat flower festival, Gau Tao festival of the Mong, Rain Praying festival of the Lo Lo, Long Tong festival of the Tay, Cap Sac festival of the Dao, and New Year Celebration of the Giay have been revived. The diverse festivals of the locals and the spectacular landscapes have drawn both Vietnamese and foreign tourists to Dong Van and Meo Vac.